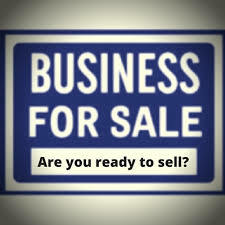 Selling your business is one of the best and most profitable business you can engage in. It’s highly lucrative. The most lucrative product you can sell in business is the business itself. 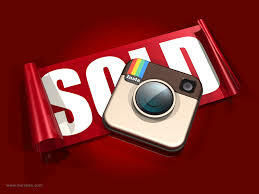 Here are 5 sold out companies,get inspired. Microsoft bought LinkedIn for $26 billion last week. LinkedIn is a professional networking social site which has 433 million members in it .I’m one of those 433 million users. Don’t think I was sold too . The thing is when they buy such network ,they buy the team too for a while in order to keep it going for the main time but the painful part is, they buy the users too and you don’t get to share in the money.Sigh.Anyway ,Reid Hoffman began on this journey since 1993. He worked with Apple to build world which did not succeed. He went ahead to build his own social site called socialnet in 1997 which was a dating site .He failed again . Reid joined PayPal in 2000. His job was to look after external relationships for them.He left PayPal to launch LinkedIn after PayPal was sold to eBay. He worked for 2 years at PayPal. The goal of the site was to build World’s No.1 professional networking site. LinkedIn was sold to Microsoft after 13 years of its reign for $26 billion. Facebook bought instagram for $1billion .Instagram was launched in 2010 by Kevin Systrom and Mike Krieger.Kevin loved photography and had this idea of a photo sharing site even before Facebook launched. Instead of launching his passion, he chose to work with people in that field to learn more.First as an intern at Odeo with Evans Williams who launched Twitter. Worked at Google before launching his own photo sharing site.With just 9 team,Instagram was sold to Facebook for $1 billion. 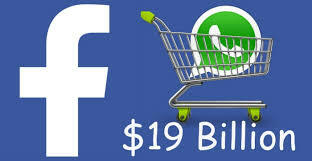 Facebook purchased whatsapp for $19 billion. Founded by a two jobless friends,Brian Action and Jan Koun.Brian met Jan while working at Ernst & Young as a security tester. Brian worked for Yahoo for 11 years. Jan is an immigrant from Ukraine. 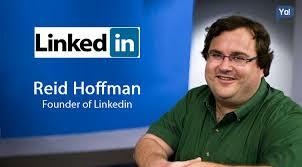 He is the inspiration behind WhatsApp. When he started working on it and was about quitting, Brian told him to not quit but try it out a few months more. Jan then persuaded Brian (38) jobless and still searching ,he had been rejected by Facebook and Twitter in his search.He persuaded Brian to work with him on that idea of creating a new messaging App ” WhatsApp”. In the first year, user growth boomed,revenue grew to $5,000 a month. They started charging $1 when users began growing too fast.Fours years later Facebook bought WhatsApp for $19billion . 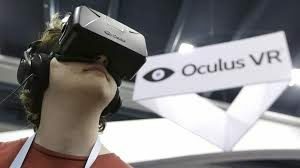 Palmer Luckey (21) sold his 18 month old company,Oculus VR to Facebook for $2 billion .What inspired Palmer wasn’t the love of making virtual reality. It was his love for gaming. He wanted VR badly so at 16 , he took on different kind of odd jobs in order to buy it. ” My goal actually wasn’t to make something .I assumed there must be something out there that was really good that I could use for gaming . I started to collect them and bought a lot of them from government auctions and industry equipment liquidation sites and all kind of fun places. I took them apart , looked at how they worked, tried to learn what they do right, what they do wrong . Over time it became clear that the only way to make something that was really good would be to throw out the design book that everyone else had used and start from scratch”. He posted a video and fundraising campaign for a prototype on Kickstarter in August 2012 to raise $250,000. By September, he had raised $2,437,429… It was time to get serious, quit journalism college, and start a company . Oculus VR, bought by Facebook for $2billion. Yahoo bought 17 year old Nick D’aloisio’s iPhone app, Summly for $30 million . The app has delivered over 90 million news summaries in four short month of it startup on his birthday 17th of November. Nick said ” I was 15 years old and I was revising for some kind of history exam. The problem was I was trying to find information that was useful to me .” Searching Google on his phone didn’t give him enough detail to know what was or wasn’t a useful link. So he put his own iPhone app together sold to Yahoo for $30million.